Located on the West side of Clearwater Lake, Annandale Area, MN. We are now on Facebook. Click here to check it out and give us a "like" to get frequent updates. Located in the Annandale, MN Area on the west side of Clearwater Lake! Welcome to BJ's Bait & Tackle LLC website! 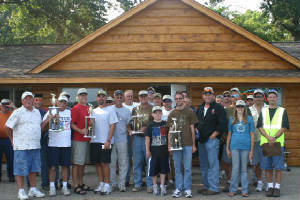 We are proud to serve all anglers in the Annandale, Minnesota area and all others who visit us! We are located on the west side of beautiful Clearwater Lake. It is our mission to make sure you, our customers, have the proper gear, bait and information to assist you with the best possible fishing experience! The Manager/Owner, Bill Hohenstein is always happy to assist with questions, feedback and requests. Please don't hesitate to contact Bill at any time! 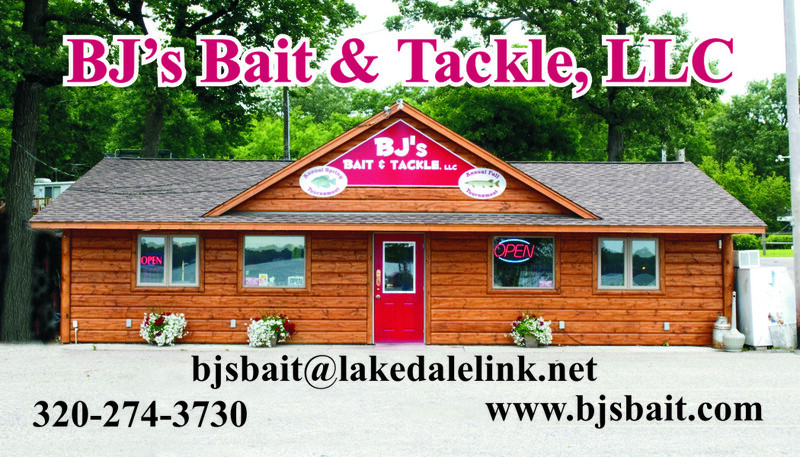 You can reach us via e-mail at bjsbait@lakedalelink.net or by telephone at 320.274.3730. Visit our bait shop on Clearwater lake, Minnesota, near Annandale, for fishing licenses and top-quality fishing supplies. BJ's Bait is dedicated to meeting all your fishing needs. Our locally owned and operated shop offers boat and motor rentals, pontoon rentals, dock space rental, and a newly upgraded seasonal campground. Some of the amenities and services BJ's Bait offers to ensure the best experience possible are a large variety of tackle, gas on-shore, sandwiches & snacks, free popcorn, pop, ice, propane fills, and plowed roads in the winter.